There I said it – Back To School. Whether you love the idea or dread it, it is inevitable. My Apple Cinnamon Oatmeal Cookies are a school safe option. They make a large quantity of cookies and freeze very well. If you can’t find cinnamon baking chips, you can omit them or substitute butterscotch. I found my cinnamon ones at my local Bulk Barn. This recipe is based on one my family has used for over 100 years. It would be my guess that the shortening used to be lard to butter. Use a flavourful baking apple for these cookies and keep the pieces to a uniform size. Err on the side of underbaking cookies if you want a chewy consistency. If you wait until your cookies are golden all over to take them out of the oven, you will definitely have crunch. 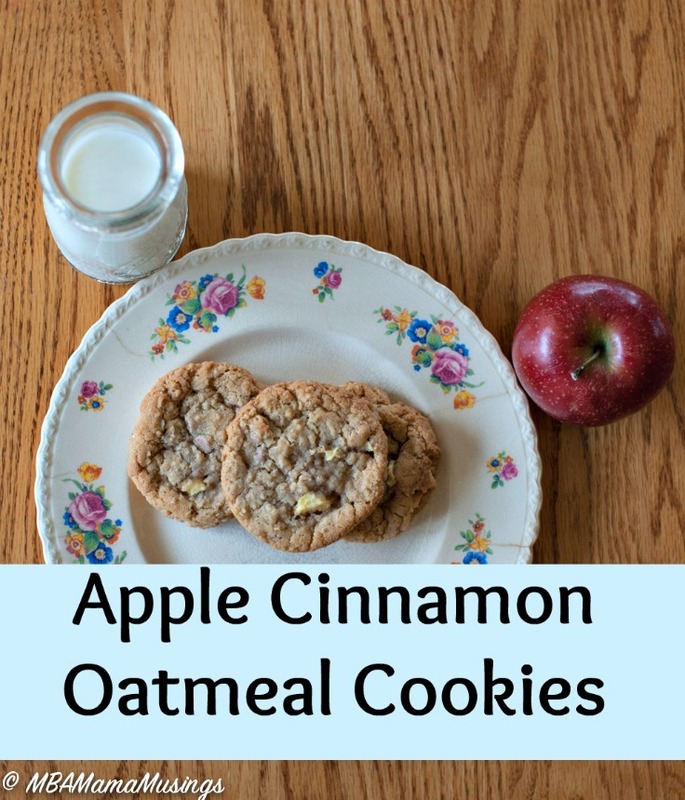 One Response to "Back to School Apple Cinnamon Oatmeal Cookies"
Those look great, might try it for Christmas baking.